Digital Desert /Agave Unfurling is an installation designed to exist within TechShop Chandler, a facility that is used by community makers to develop, create and fabricate projects using computer guided equipment and high tech manufacturing techniques. 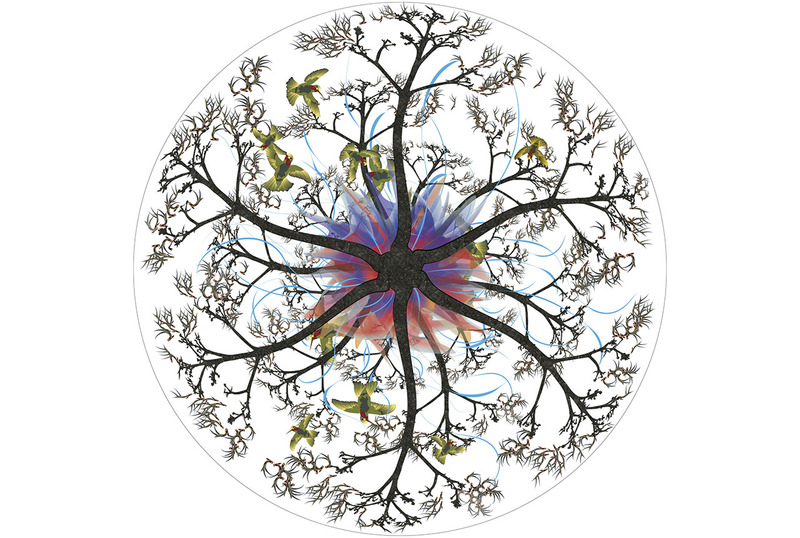 This world is familiar to Mary Shindell as an artist because although her imagery is derived from landscape and botanical sources, she composes, creates and fabricates much of her work with the use of computer programs and Computer Numerical Controlled Equipment. 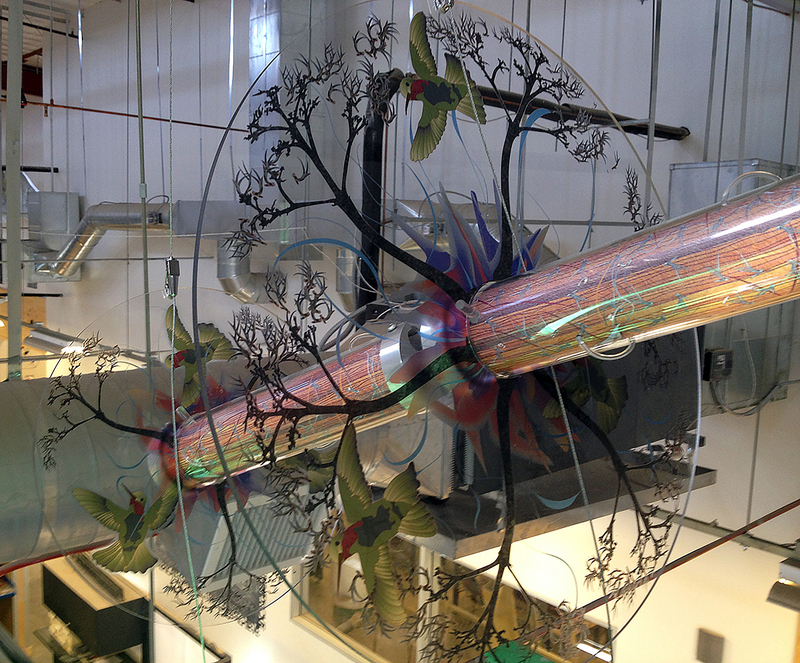 The focal point of the installation is a three-part suspended agave sculpture, which incorporates digital drawings, Lucite, optical fiber and aluminum that has been water jet cut using the equipment at Techshop. Placing this artwork within a cutting edge environment creates a visual connection between the desert and the high tech world. This installation was commissioned by the City of Chandler Public Art.